Today I have an important message about the Student Health Insurance requirement. Wake Forest students are required to have health insurance so they will be able to get care here if they need it. Every year your student is enrolled, he/she must either go through the waiver process (to prove he/she has coverage) or enroll in the Student Blue plan. If students (or their families) take no action, they will be billed for Student Blue (even if they are covered elsewhere). Yesterday afternoon, Wake Forest sent an email to parents and guardians for whom their student has not yet waived coverage or enrolled. Please check your email (and your spam folder/junk email box) for an email from the sender “WFU Insurance Program” and the subject line of “Action needed: Your WFU Student’s Health Insurance Waiver Has Not Been Received.” If you got that message, please act on it. I wanted to repeat this message about health insurance in the Daily Deac, because the Daily Deac is sent via a Feedburner subscription service you signed up for; it does not come out of Wake’s records system. 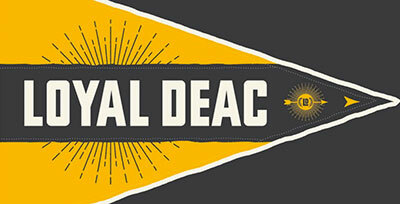 In other words, just because you get the Daily Deac does not mean you get all Wake Forest emails, so we are trying all communications channels. 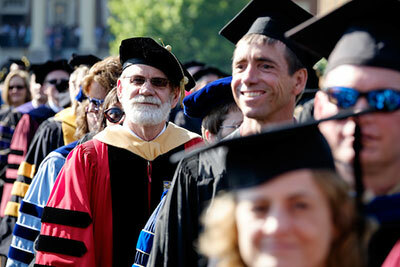 This also bears a mention of how we communicate with familis via official Wake Forest emails. Whenever we send an official Wake Forest email to families, we cannot guarantee it doesn’t get routed by your internet service provider into spam. We can only control how our message goes out, not how your PC receives it. This is a good reminder to check your junk mail periodically for Wake Forest messages and move us to your Inbox/add us to your safe senders list; some of the internet service providers that I seem to recall families telling me get routed to spam might be AOL and Comcast. 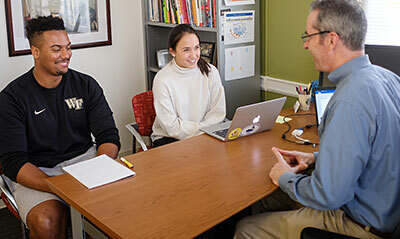 We know students are home for the summer, but it is important for them to be in the habit of checking their WFU email and taking responsibility for its contents and action items. It’s also important for parents and families to know we have made a diligent effort to get in touch with the students who have not taken care of their insurance requirement. So please ask your student to doublecheck his/her WFU email to make sure that the insurance has been taken care of, so that no one gets an unhappy surprise on their student account. A copy of the emails affected students received is below. 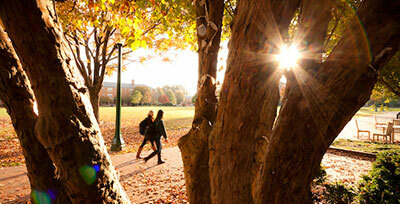 Wake Forest University requires health insurance for all full-time enrolled students. All eligible students must make an insurance election prior to August 1, 2016 for the 2016-2017 academic year. Insurance elections may be made online now by visiting www.bcbsnc.com/wfu. Students may choose to ENROLL in Student Blue or request to WAIVE enrollment if they carry comparable personal health insurance meeting the criteria set by WFU. The criteria for waiver can be found at www.bcbsnc.com/wfu as well as on the SIP website, www.wfu.edu/sip. At this time, an insurance charge has been added to the student account for the WFU Student Insurance Program (SIP) in the amount of $1,275 for the fall 2016 semester. This charge appears on the account as HealthInsurance Premium. INTEND TO ENROLL? Please enroll at this time at www.bcbsnc.com/wfu. From the Student Blue homepage, select Enrollment > Enroll Now, and create a Student Blue account (select New User) to continue. Failure to enroll online will delay activation of your coverage and receipt of ID cards until after the August 1 deadline. Merely paying your student bill with the insurance charge DOES NOT automatically activate your SIP coverage. If your are a current member of the Student Blue plan and wish to continue coverage for 2016-2017, you will need to visit the website and actively enroll for the new benefits year, as your coverage will not automatically continue. Once enrollment is submitted online, BCBSNC will send an email confirming the receipt of your information and enrollment election, as the Student Blue plan is administered by Blue Cross Blue Shield of North Carolina. Further information regarding the plan benefits may be found at www.bcbsnc.com/wfu or on the SIP website at www.wfu.edu/sip. The plan benefits year is 8/1/16 – 7/31/17. INTEND TO WAIVE? Please do so at this time by visiting www.bcbsnc.com/wfu. From the Student Blue homepage, select Waiver > Request a Waiver, and create a Student Blue account (select New User) to continue. You will need your current insurance ID card handy along with your Student ID to complete the waiver. Once you complete the waiver application online, BCBSNC will send an email confirming the receipt of your waiver application. Please note that this email is only confirmation of the receipt of your insurance information, and the waiver request may be subject to further review to ensure compliance with the University criteria. If at any time the waiver information is found to be invalid, the waiver can be denied. In order to receive a credit for the health insurance premium on the student account, a waiver must be submitted, and a credit to the student account can be expected within 7 business days of submission. AUGUST 1 DEADLINE: Enrollment or waiver must be completed online by Monday, August 1st at 5:00pm for the 2016-2017 academic year. Please note that the election made at this time will remain in place for the entire academic year. CURRENTLY ABROAD? You may not be able to utilize www.bcbsnc.com/wfu to complete your insurance election. Please visit https://studentblue.bcbsnc.com/wf/ to take action. Should you have questions or comments, please contact our Student Insurance Program staff at sip@nullwfu.edu or (336) 758-4247.